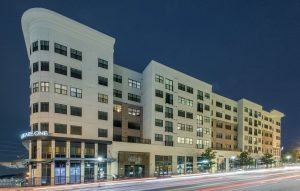 LOS ANGELES (November 30, 2015) – Canyon Partners Real Estate LLC (“Canyon”), a commercial real estate investment firm, has made a $10.3 million preferred equity investment in a joint venture between Kaplan Residential, LLC, Morgan Companies and ECI Group for the construction of One City Walk. The 203-unit, Class-A, multi-family midrise community is currently under construction at the intersection of Roswell Road and Hammond Drive in the heart of Sandy Springs, GA, an Atlanta suburb. The project also includes a 305-space parking garage and 9,092 square feet of leasable retail space and is expected to be completed by June 2016. The property is a prime location within the Central Perimeter submarket, one of Atlanta’s most prominent job centers. The Sandy Springs market is the third largest multifamily submarket in Atlanta and has a 4.8% overall vacancy rate, compared to 6.1% for the Atlanta metro area. One City Walk is Canyon’s second investment in the Atlanta area since 2014. Canyon Partners Real Estate LLC (Canyon) is the real estate direct investing arm of Canyon Partners LLC. Canyon focuses on providing debt and equity capital for commercial real estate in primary and secondary markets across the U.S., primarily to facilitate asset acquisition, value-add repositioning, development or recapitalization. 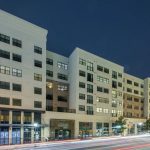 Since inception, Canyon has invested over $5.8 billion of capital in over 220 commercial real estate and mortgage transactions with a total capitalization of $15.1 billion through its distinct real estate investment platforms. Founded in 1990, Canyon Partners is an investment management firm headquartered in Los Angeles which, together with its affiliates, manages over $23 billion of assets. For more information visit: www.canyonpartners.com. 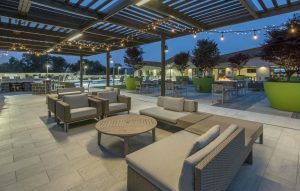 Recognized for its hands-on approach and “personal touch” Kaplan Residential remains true to its heritage. 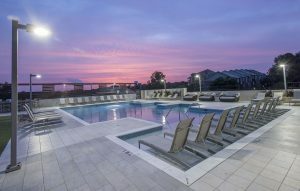 Evolved from a family owned and operated business, Kaplan Residential focuses on developing, building and managing the most innovative and timely multi-housing and mixed-use solutions throughout the Southeast. Led by Morris Kaplan, who brings more than 40 years of applied development and construction expertise, the Company approaches each design with the diligence and attention to detail that turns projects into communities and housing into homes.